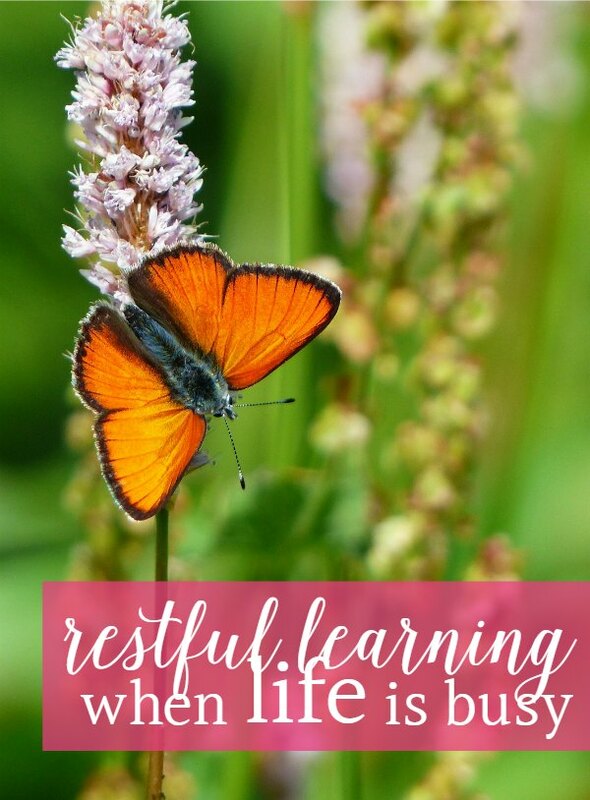 Finding your place of restful learning can be difficult - with busy schedules, household chores, and all the things that keep homeschooling moms busy. And, when life throws an extra curve ball, it can feel even more elusive. There are two things I like to do to manage those extra crazy times - even when a scholé atmosphere seems out of reach. When we're beginning a new homeschool year, and I'm mapping out what we'll be doing, the plan (on paper) looks perfect. But then life happens. Someone gets sick... we need to take an unexpected trip... the program we thought was perfect doesn't work for us. It happens. Things aren't going to be perfect in real life. And it's okay. And, instead of throwing up your hands or throwing out your schedule, there are a few things you can do to keep your homeschooling on track, even in the middle of chaos. I've said it before and I'll say it again (ha!) that setting yearly homeschooling goals is important. When things get busy and unmanageable it is a-okay to pare down to the basics. If you know what your goals are, you can let the extras go and just focus on those goals when life gets busy. This might look different every year, depending on what you are focusing on. For example, this year we are really focusing on daily reading, solidifying math facts, and writing skills (outlining & one-paragraph reports). Of course, we cover Latin, French, grammar, and lots of other subjects. But, if I had to toss out our schedule for a week or two, I would just focus on those goals and let the rest go. In the middle of a hectic life moment fitting in some reading time, doing a math lesson, and working on writing would feel like a good homeschooling day. When I want to change things up a bit I put the books and the schedule away and write a few things on an index card and hand it to TJ. Those are her assignments for the day (this idea is not originally mine, a wonderful homeschool blogger - sadly she doesn't blog anymore, did this with her children and I just loved the idea). This changes every time we do it. It's a nice way to shake up the routine and a good opportunity to add some truth, beauty & goodness to our day. Do you have a tried-and-true method for keeping your homeschool on track even when life throws an unexpected curveball? These two methods have worked well for me. 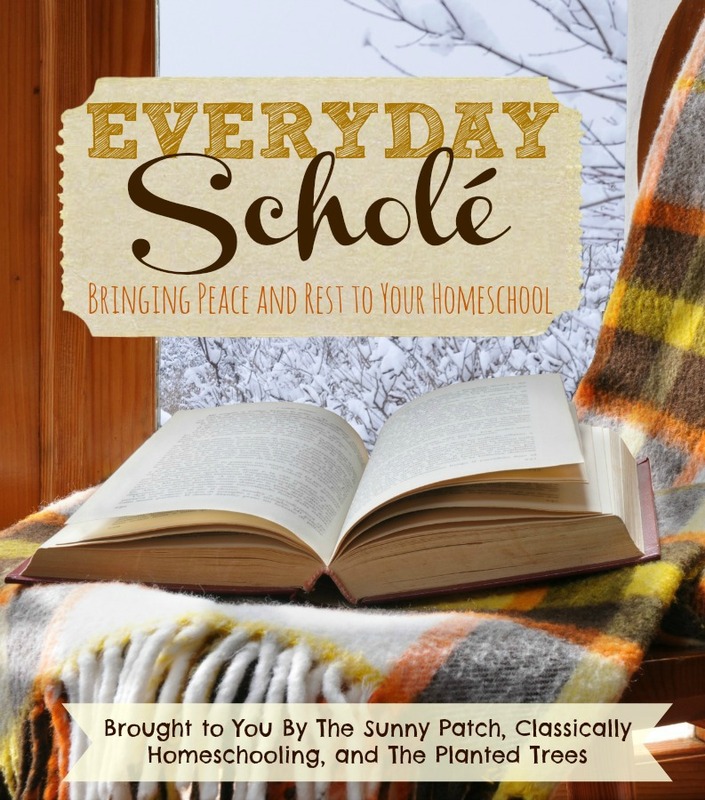 Be sure to check out Chelli's & Sara's posts to see how they manage to keep scholé when life happens. Click on the images below to read their posts.